At the 2016 AAG annual meeting in San Francisco, Joaquín Villanueva organised a panel session, “Did We Accomplish the Revolution in Geographic Thought?”, inviting participants Matthew Hannah, George Henderson, Don Mitchell, Jenny Pickerill, Robert Ross and Simon Springer to consider the meaning of Harvey’s call for revolutionary auto-critique today: Does it still apply? How have the stakes changed? What is the battle over now? What does contemporary radical geographic thought look like? And what is its value for the present and future? Joaquín and his interlocutors present their reflections below; together they explore the practice of critical geography, questioning its contemporary significance, continuing that perennial dialogue on what geography ought to be. This call to arms by David Harvey (1972: 10) four decades ago effectively mobilized a generation of geographers to engage in a “rigorous and critical examination” of the objective social conditions of their time. It was with this call in mind that in the Fall of 2015 I read the rush of call for papers that flooded my inbox for the upcoming American Association of Geographers’ annual meeting in San Francisco. There were CFPs on the European “migrant crisis”, the Syrian war, Palestine/Israel and the BDS movement, climate change, policing and US racial geographies, urban crises, and political mobilizations across the globe. I was initially excited. Geography, it seemed, was intervening with the “objective social conditions” of our times and at long last geographers had successfully responded to Harvey’s call for a “revolution in geographic thought”. But did we? Did we actually accomplish the revolution in geographic thought? To temper my initial excitement, I invited a group of scholars to a panel session that sought to address this question. True to academic form, their answers were not simple, straightforward, or obvious. Rather, the interventions that you will read in this symposium are complex, contradictory, ironical, and, of course, critical. These are all good adjectives because any revolution (intellectual or otherwise) that claims to assess its own success on simple yes/no answers, is a failed revolution. Before introducing the participants, I want to contextualize the present discussion with a brief commentary on Harvey’s 1972 Antipode essay “Revolutionary and counter revolutionary theory in geography and the problem of ghetto formation”, which foregrounded the AAG panel and this symposium. First published in 1962, Thomas Kuhn’s paradigm formation theory constitutes the point of departure for Harvey’s essay. Kuhn suggested that “scientific communities” go through a series of intellectual processes based on paradigm shifts. Paradigms refer to the set of concepts, theories, and methods that compellingly help scientists explain and investigate their research problems (Kuhn 1996: 10). At certain points, most members of the scientific community will come to accept particular paradigms (e.g. positivist and quantitative approaches to geography in the 1960s). In the course of investigations, however, some researchers will encounter anomalies, which will prompt them to “discover” new concepts, theories, and methods. As a greater number of researchers from that community come to accept the new paradigm, a crisis ensues, which is followed by a scientific revolution. A revolution is the arrival and acceptance of a new paradigm in the scientific community (e.g. Marxist approaches to geography in the 1970s). In the social sciences, theory cannot be independent from the existing social conditions, since the “success” of revolutionary theory is conditional upon our ability to “actualize” paradigms in the real world. In that sense, “[r]evolutions in thought cannot ultimately be divorced from revolutions in practice” (Harvey 1972: 5). A counter-revolutionary theory, on the other hand, engages with revolutionary theory but has the effect of preventing the latter from being realized. For Harvey (and others in this symposium), counter-revolutionary theories and practices limit geographic thought precisely because they appear revolutionary, when in fact they serve as justifications for revolutionary inactions. Why a Revolution in Geographic Thought? The question that animated Harvey was not so much how revolutions in thought operate but, more importantly, why revolutions are needed. Harvey, the positivist geographer, having worked on, contributed to, and supported the dominant paradigm in geography (see Harvey 1969), found himself in the early 1970s living in Baltimore, Maryland, and unable to explain why the city’s ghettos were revolting and ablaze. “The quantitative revolution has run its course”, a frustrated but upbeat Harvey proclaimed, as its methods and conceptual frameworks “serve to tell us less and less about anything of great relevance” (1972: 6). It was the objective social conditions of the time that forced Harvey to evaluate the basic precepts of the dominant paradigm in geography. Upon revision, and having identified some of the limitations of the paradigm, Harvey went on to issue the call for a revolution in geographic thought. The jury is still out on determining whether we successfully revolutionized geographic thought to the extent that we are not only able to meaningfully speak about current social, ecological, political, and economic problems but also able to engage in “revolutionary practice”. The participants in this symposium have reflected on Harvey’s call to arms for a revolution in geographic thought and assessed its success, limitations, ironies, paradoxes, and contradictions today. George Henderson directly engages with Harvey’s essay and points to the “extraordinary faith in reason and in science” upon which his call was based. Henderson identifies four ironies already present in Harvey’s essay, which have been exacerbated since 1972, in order to further complicate the relationship between the “objective social conditions” of our times and geographic thinking. Don Mitchell reminds us that the revolution in geographic thought “has been powered by dialectical thinking”. Mitchell, however, uses the opportunity provided by this symposium to highlight counter-revolutionary currents in geographic thought which, in retrospect, have one thing in common: they have been “actively anti-historical materialism”. Jenny Pickerill’s essay celebrates geographers’ contributions to theoretical debate and revolutionary thought, but correctly identifies our inability to “turn radical geographical thought into action”. Simon Springer, on the other hand, questions the very notion of “revolution”–an assumption that everything needs to change “in one fell swoop”–and instead urges us to consider the “ongoing process of subversion” that pushes geographic thought and practice to “evolve” stubbornly, yet steadily, forward. Last but not least, Bob Ross invites us to reconsider the “mechanisms for distributing geographic thought” (costly journal subscriptions and lengthy peer-review processes). Geographic knowledge distribution, Ross compellingly argues, is “counter-revolutionary” for it prevents our geographic thought to be disseminated widely. I hope the publication of this symposium can contribute to the process of self-reflection that is so crucial for any “community” of scholars that strives to positively impact the world around us. Ultimately, I believe, we need to consider who that “community” is, for whom it is speaking, and in whose interest. As some of the participants mention in their interventions, our “scientific community” needs to be less white and male dominated (Henderson) and inclusive of “other knowledges” and (indigenous) voices (Pickerill). Otherwise, geographic thought will always be “West” oriented, and responsible for reproducing the same old paradigms that justify and support the unjust objective social conditions of our times. In other words, we run the risk of being perpetually counter-revolutionary. I want to thank Matthew Hannah and the participants in this symposium for initially contributing to this conversation during the AAG panel in San Francisco. 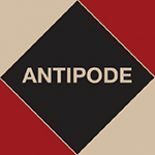 Though the essay first appeared in Antipode (in volume 4, issue 2), an extended version was later reproduced in Social Justice and the City (Harvey 1973). Participants will refer to either version in their interventions. For a wonderful contemporary account on the dynamic relationship between revolutionary and counter-revolutionary theories in regards to the “problem of ghetto formation”, I highly recommend Mitchell Duneier’s (2016) Ghetto: The Invention of a Place, the History of an Idea. Antipode forum on a classic David Harvey essay. This entry was posted on 20 December 2016 by Antipode Editorial Office in Interventions and tagged academic activism, anarchist geographies, counter-revolutionary theory, critical geography, David Harvey, dialectics, geographic thought, geographical knowledges, ghettos, historical materialism, impact, Marxism, paradigms, praxis, radical geography, relevance, scientific revolutions, self-criticism, theory and practice, Thomas Kuhn.